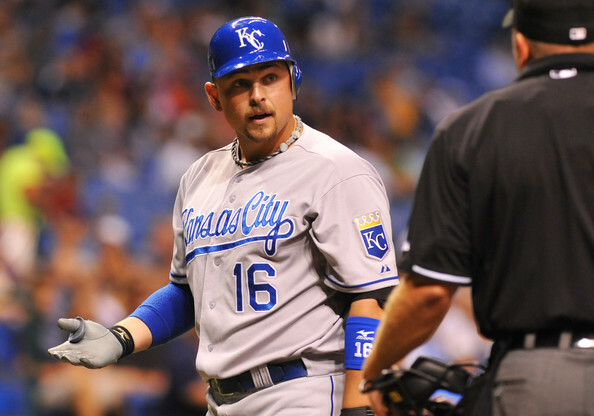 Word came out earlier this week that the Kansas City Royals will listen to offers for Designated Hitter Billy Butler. Now, I don’t want to go too deep into this, but I think it’s important to throw out there a few things about not only the wording of this, but also the cause and affect if a trade went down. Let’s start first with the wording: “willing to listen to offers.” To be frankly honest, most teams will listen to offers for 3/4 of their roster. Every team has a few untouchables, but other than that a smart GM will listen to offers. Doesn’t mean they are actively shopping Butler. Doesn’t mean they aren’t. It just means that if the right offer crossed Dayton Moore’s path, he would be interested. This really shouldn’t be a shock to anyone. Just last winter Moore talked to Baltimore and Seattle about Butler, although it never seemed like the talks got very far. There was one name connected to those talks (James Paxton, who is one of the Mariners top pitching prospects) but past that it was just a bunch of talking. To be honest, it would have made more sense to trade Butler last winter. He was at his peak level of value and could have garnered a much bigger package then he could this winter. One reason is because of the All-Star season Butler had in 2012. The other is Butler’s contract is continuing to go up and will be the highest it’s been over the next two seasons. Either way, listening to offers is not the same as actively shopping. 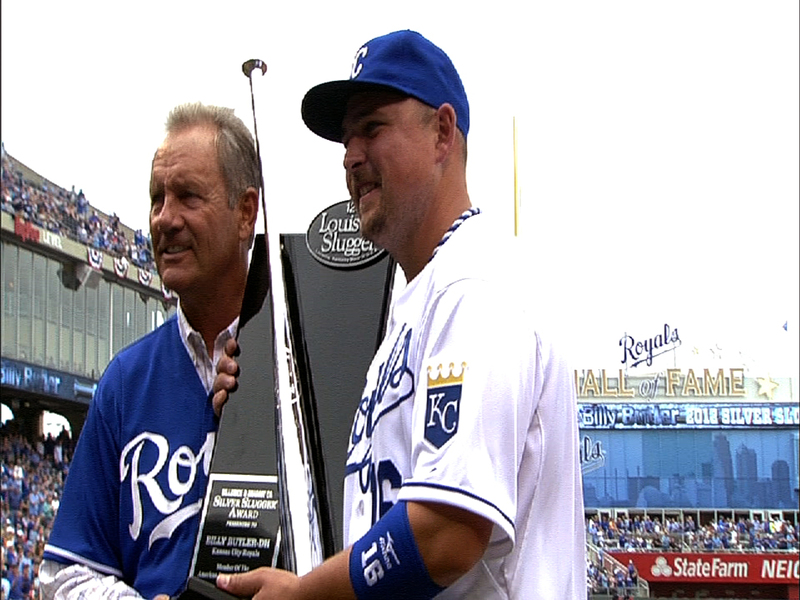 Which is probably a good thing, because I can’t see how shipping off Butler helps the Royals offense. More than likely, if the Royals trade Butler it would be to acquire a starting pitcher to take over for the departing Ervin Santana. Yes, the Royals do need another starter and Butler could probably net them a nice #3 starter for the rotation. But filling that hole would open up another hole in the Royals offense. You see, Kansas City already needs a big bat for the middle of the order, probably to play right field. So if you trade Butler, you then need two big bats to acquire this off-season. 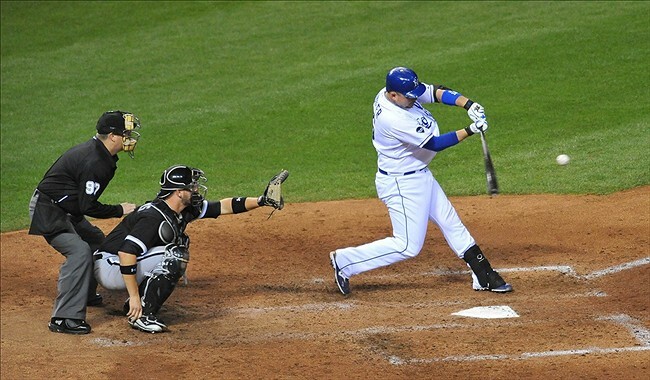 I’m going to be brutally honest here; the Royals offense sucked in 2013 for the most part, and despite what some skeptics will say, Billy Butler helped the offense this year rather than hurt it. Sure, Butler’s numbers were down from his 2012 numbers, but besides Eric Hosmer’s, whose weren’t for Kansas City? Butler still lead the team in Runs Batted In and eclipsed his career high in walks. So Butler’s bat is important to this team, even if he is more suited to the third or fifth spot in the order than cleanup. So if you trade Butler for a starting pitcher, what two players can you acquire to help the offense? The answer is there just are not a ton of options out there for Kansas City without spending a lot or trading a lot. The whole point of moving Butler would be to improve the team, not make it worse. I know Royals management thinks all the younger bats will improve from 2013, but the same mantra was spoken after the 2012 season and we see how last year went. I don’t have a problem with them trading Butler, but ONLY IF IT MAKES THE TEAM BETTER. Let me ask you a question, Royals fans: do you have faith in Dayton Moore that he can pull off the deals where Butler is traded and bats are acquired that improve this ball club? I don’t. This past year showed that good pitching can help your team a ton, but without the bats you fall just short of a playoff spot. So if the Royals are serious about trading Billy, they need to have another plan ready to go, and not one that is acquiring Carlos Beltran, which is a long shot. Sure, I’d love to see Butler traded for a starting pitcher, then sign, let’s say, Beltran and Corey Hart to DH and play RF. But do you see that happening? I don’t. Let’s hope all this Butler trade talk is just the team trying to give him a kick in the pants to focus more on baseball and less on women playing with crushed Oreo’s. The goal for Kansas City in 2014 is to improve and reach the playoffs. I don’t think trading Billy Butler will get that goal accomplished.